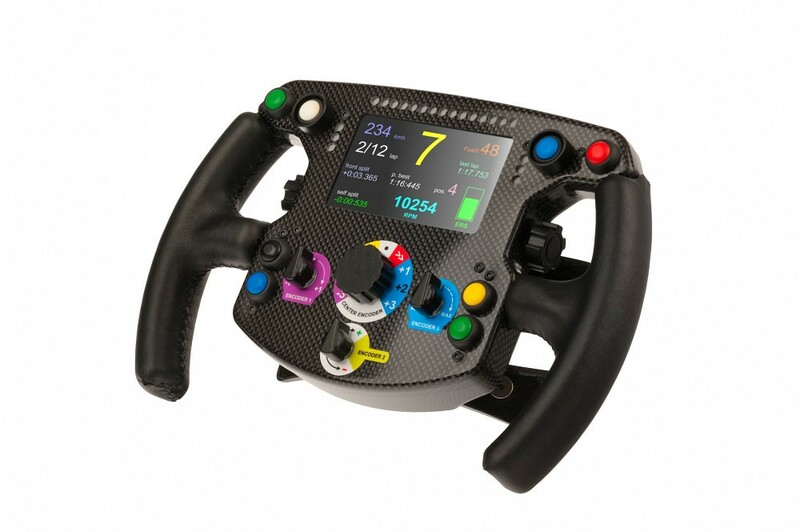 Mark Puc aka AussieStig from Inside Sim Racing presents his Rexing Formula Add-On Steering Wheel Review. 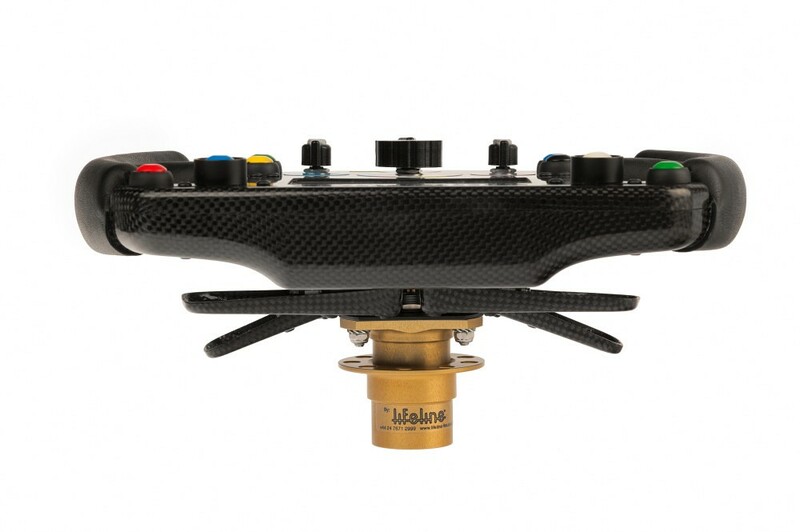 Rexing is a relatively new manufacturer of high-end sim racing equipment. The company is based in Croatia. AussieStig mounted the wheel rim to his Thrustmaster T300RS wheel and set out for a few test sessions in iRacing driving the McLaren MP4-30 at the laser scanned Imola track before moving over to Assetto Corsa to try out the recently released Ferrari SF15-T F1. 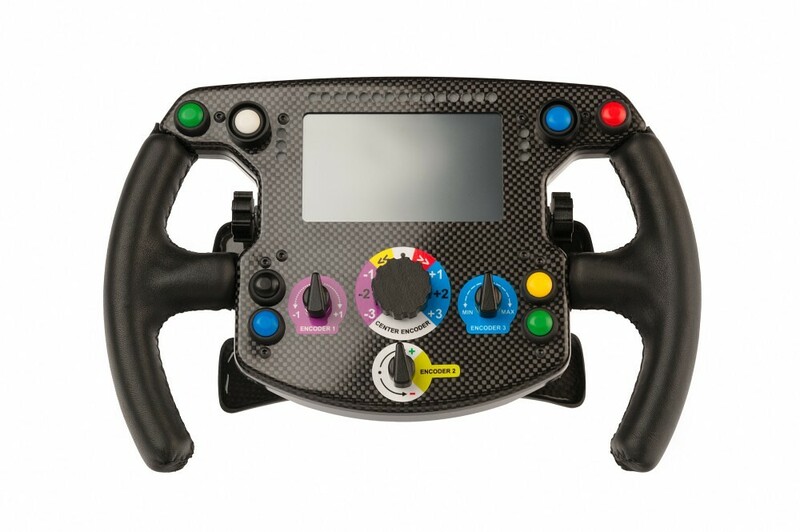 The Rexing Formula Add-On Steering Wheel is a new custom wheel loosely based on the Ferrari SF15-T Formula One wheel rim. 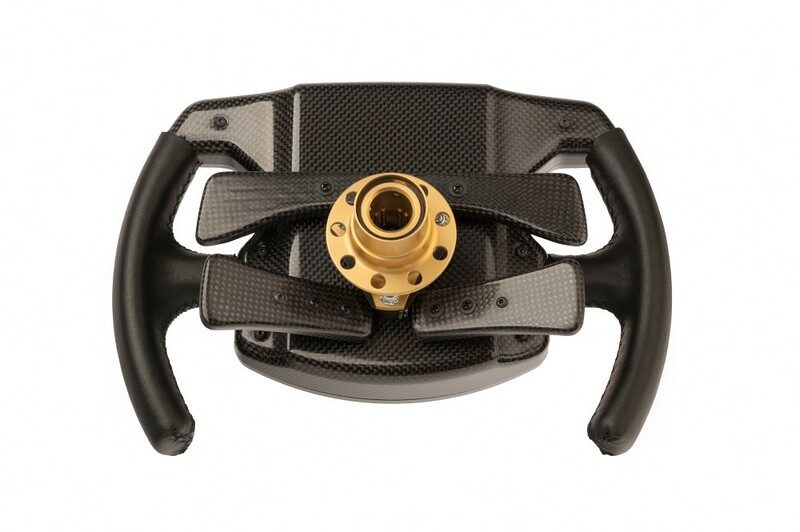 The Rim is made out of carbon fiber and is fitted with two paddle sets. One for shifting and one set for the clutch. It features 4 front encoders including , 8 pushbuttons, a 4.3″ LCD color display and 6 additional LED’s. The wheel grips are available in Alcantara or a slightly thicker leather version. The test version of the wheel came with a coiled USB connecting cable and two mounting adaptors. A metal Q1R quick-release adaptor for use with standard 70mm mounting hardware for use with direct drive wheels, and a plastic Thrustmaster adaptor for use on the Thrustmaster eco-system range of products. The Wheel rim is delivered in a sturdy aluminum case. All this high-quality extravaganza does not come cheap. The Rexing Formula Add-On Wheel rim base model is on sale for €1250,00 including VAT. Pro version (work in progress) will offer huge customization options, many different screens and real time telemetry for your car.